Well it’s been a pretty hectic few weeks!!! Since I’ve been injured and not allowed to run, it means I can’t focus on triathlon, so instead I’ve been focusing on horseback riding. It’s been better for my ankle overall and still lets me feel like I’m training. I’m still bike riding and swimming, but running is totally out of the question, I mangled my ankle very badly. So focusing on riding has been really saving me while I recover and I’m so happy to be doing it. 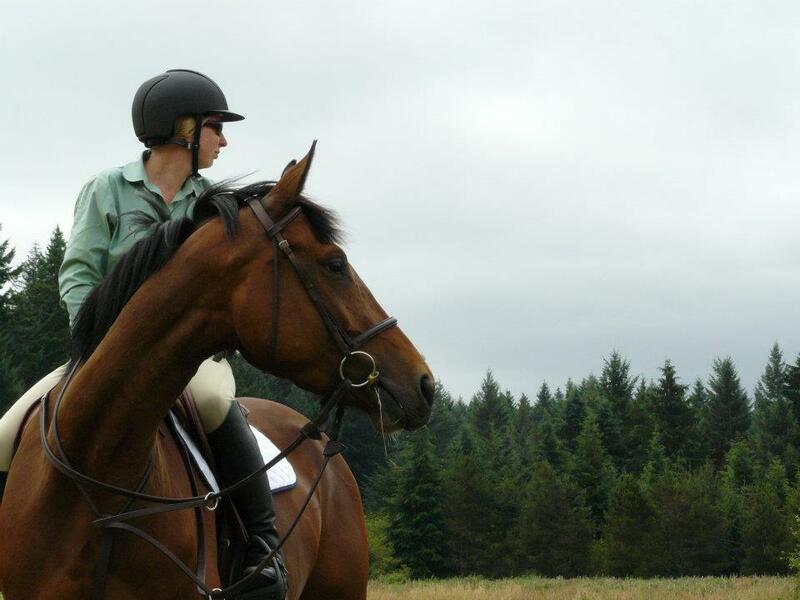 I adore riding, and I’ve been very lucky to be riding some amazing horses. One of which is Rylin. 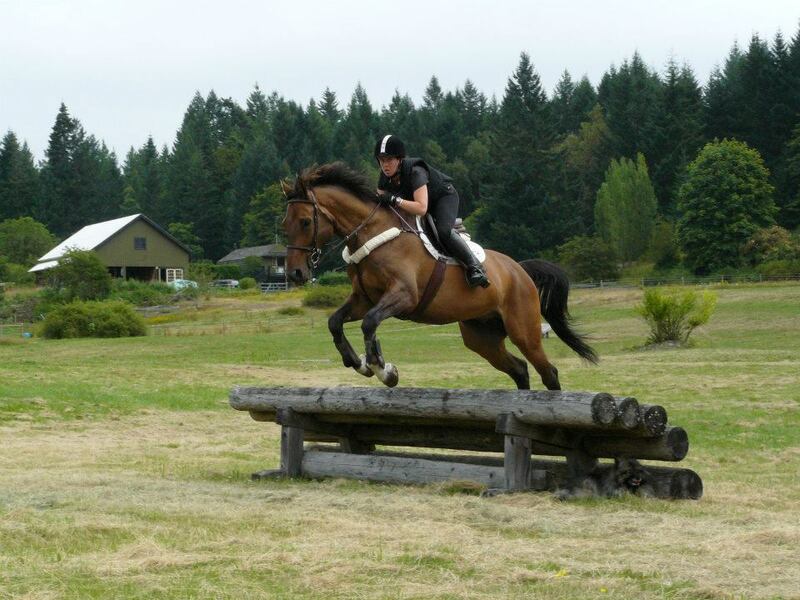 He’s an amazing horse, so talented, has tons of jump and is very athletic. He’s a bit of a chicken, but that’s ok because I’m brave enough for both of us, and he’s got so much heart that when I tell him something is safe to jump, he’ll go for it with everything he has. Recently we went on a barn trip up island to Michael Lake Equestrian Centre, which is a stunning facility with a beautiful cross country field. We camped over night and rode two lovely days in the field. For those of you who aren’t familiar with cross country, it consists of a very large winding field with natural type obstacles, like ditches, large ponds, stone walls, logs, stacks of logs, and trails through forests. 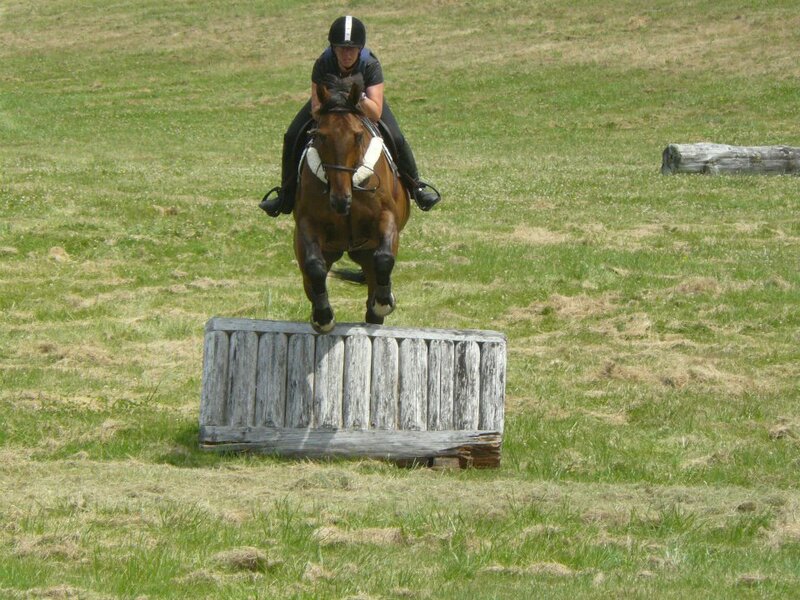 Generally, our hunter/jumper horses don’t see a lot of those kinds of obstacles and don’t get to play in a giant open field, so the cross country experience can be tough. Our horses all rose to the challenge and were amazing for both the days. We got some amazing photos and had the most wonderful time!!! Jumping the skinny jump is a lot harder than it looks!!! Can you see the dog in this photo?? she’s there!! My coach and her amazing 4 year old, Roulette!!! 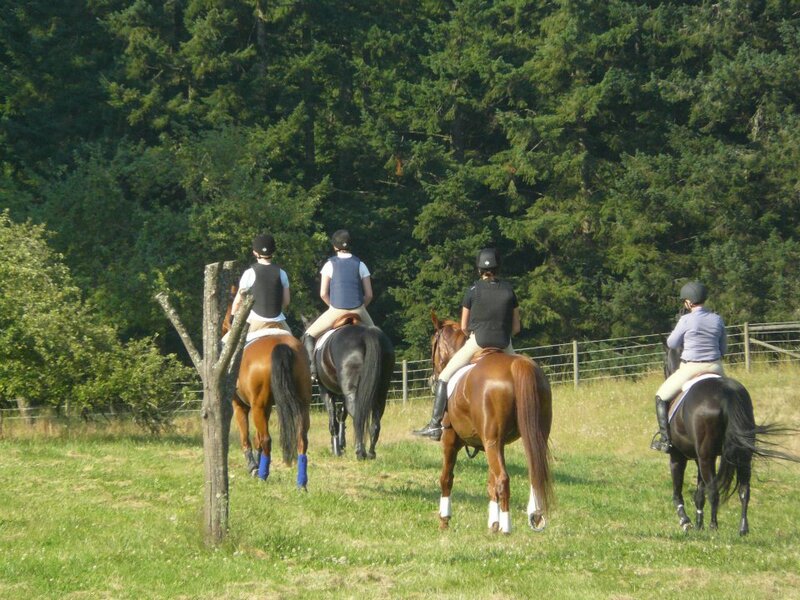 The crew after a lovely ride, headed back to the paddocks and camp site!! 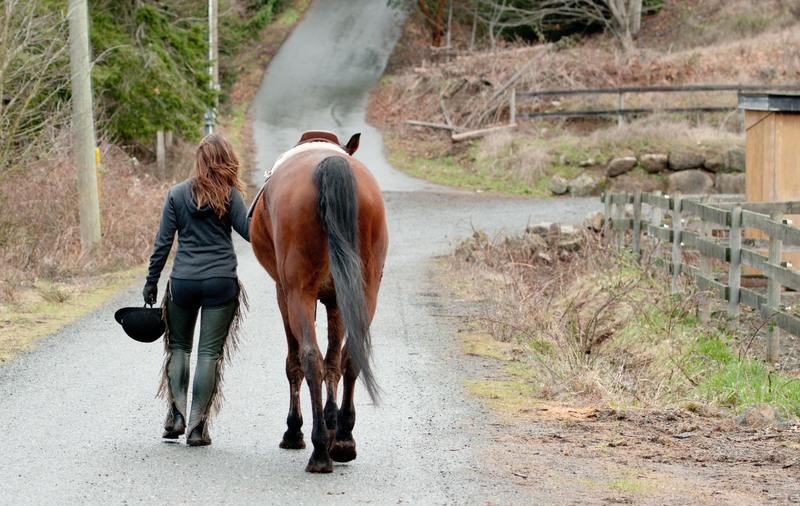 One of the most amazing things about starting a young horse is that you get to be one of the first real human connections they make. Most young horses (in a perfect world) have already been handled lots to make the starting process easier, but as far as putting tack on them and teaching them how to be ridden, that is a truly amazing experience. Each horse is different and I’ve been working with a lovely gelding named Kosmo. He’s an absolute treasure and I’ve been working with him for a few weeks now. Today we thought we’d try to get on him for the first time. 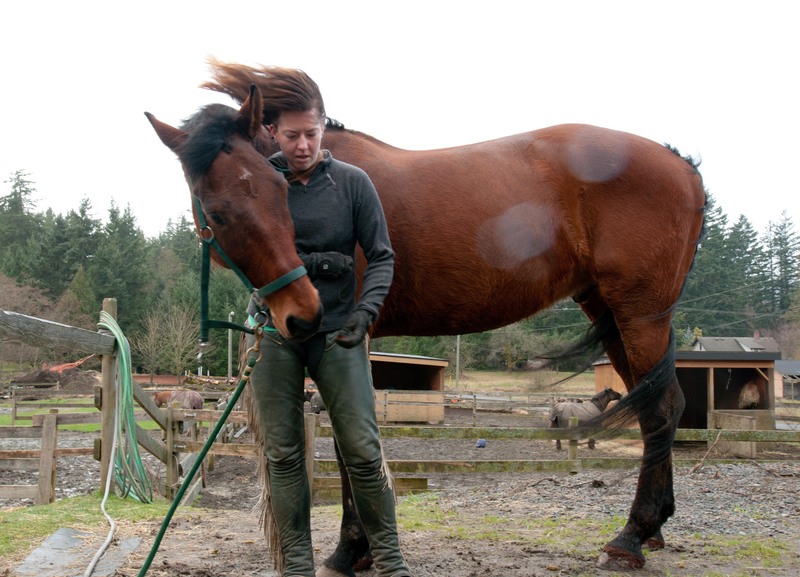 Generally it takes a few days of working with horses with a saddle on before you actually get on and ride. We started slow and he was just so calm about everything, that we ended up just getting on. He is such a superstar! Walking and trotting on the lunge line and even walked off the lunge line without my trainer in the ring! Such a fabulous horse, I’m so lucky to get to work with him!